Maybe it’s a much-needed vacation with your family or just one of those regular business trips, but maintaining healthy eating habits while travelling is a basic necessity. Did I say Healthy? Yes, it means not to go for oily and spicy food. 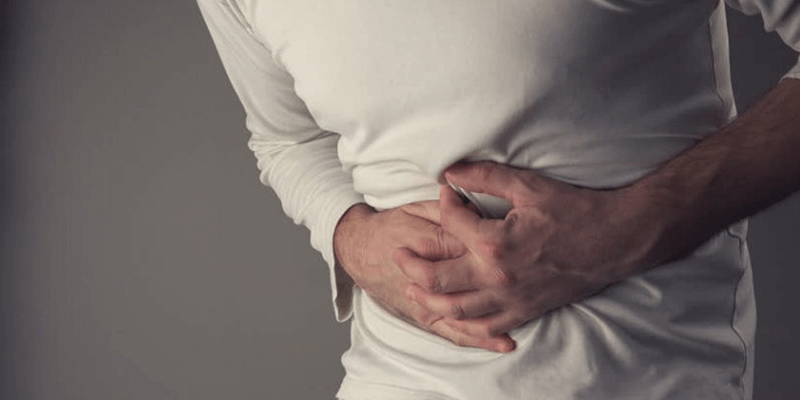 We should always consider health as the crux even while travelling, as consuming spicy food might cause stomach ailments which in turn will ruin all the fun. 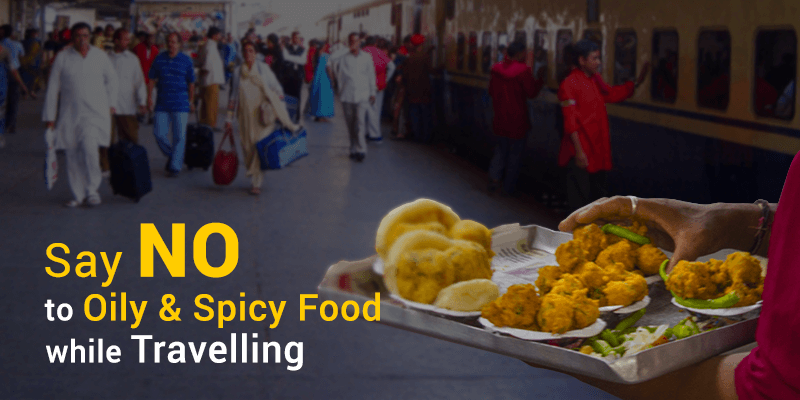 Though, getting healthy, hygienic or non-spicy food is often the greatest challenge while travelling by train. Then avoiding unhealthy food not only becomes tough but is impossible sometimes, especially when you are on a long train journey. So what is the solution? Should you carry food from home or simply order from the pantry car? But what if the is food is oily & spicy and then what if I fall ill? Such innumerable concerns about food while travelling give us nightmares. Recently, a friend was travelling from New Delhi to Patna on an educational tour. With very few food options available, he bought some nice looking meal from the station. He was hungry and so ate up all the spicy food. However, the satisfaction was short-lived, as he soon had an upset tummy. Doctors said it was food poisoning and he had to return in between the tour because of ill health. Now, have the food woes while travelling started having a toll on you too? Well, if we are discussing your pains, we will counter it with a solution too. Solution is always a click away! 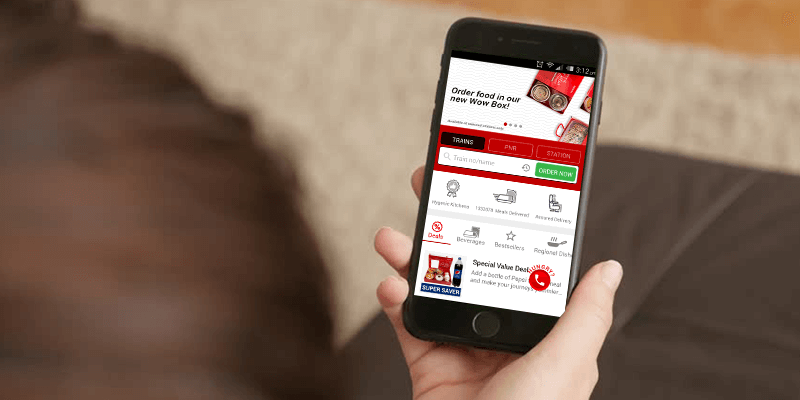 RailYatri, a leading train travel website and app, is well aware of the food problems that we all go through during train travel. In a world, where people are fast moving to comfortable ways of living in their everyday lives, getting a simple and hygienic meal during train travel still remains a big problem. And this is where RailYatri app can be of help to you. You can order simple, light yet yummy food through the app and food will be served to you by their 200+ partner restaurant across all stations. You can order simple meals like daal-chawal, premium vegetarian thali and the options are unending. What’s on the light belly menu? To quote an example, RailYatri partnered restaurants in Nagpur and Ratnagiri offer curd rice which is yummy and just so light on your belly. Other than this, restaurants in Ujjain and Ambala offer healthy, green salad to the train travellers passing through these stations. 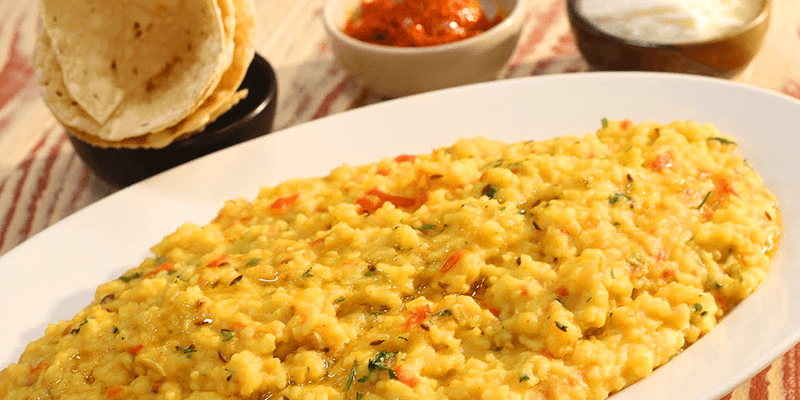 Dal khichdi and other light on stomach items such as dal fry and rice, roti and dal, are also served at various stations with the help of RailYatri partnered restaurants. With RailYatri, food offered at stations specialize in offering food to train travellers, that is simple and not too heavy. The restaurants keep their menu simple and the emphasis is on hygienic cooking and serving. We all understand the importance of healthy and hygienic food while travelling and hence RailYatri is the answer for all ‘quality food’ woes of travellers. So, next time you travel, make sure you eat and travel light with RailYatri’s Food on Train. Stay updated with us, as we will next give you top 5 best reasons of why booking a Jain Thali is the healthiest option for you during train travelling. बहुत अच्छा प्रयास है ?????? लेकिन यह भी ध्यान रहे की बीच में लोग घपला न करे, जैसे राजधानी जैसी ट्रेन में हम उम्मीद करते हैं कि खाना उच्च कोटि का होगा, लेकिन वो लोग कितनी गंदगी से बाथरूम के सामने खाना रख कर देते हैं। इस प्रयास के लिए बहुत धन्यवाद, उम्मीद है अब हमें अच्छा और साफ़ खाना मिलेगा ?????? KHANE KI QUALITY AUR SUDHARI JAAYE…… PANEER SABZI KE NAAM PE PAISE JAYDA WASOOLE JAATE HAI…. JAB KI THALI MEN PANEER KE 3-4 PICS HOTE HAI……..AUR KAI AWAIDH VENDOR UNIFORM PAHANKAR USI KHANE KO KAM RATE MEN SELL KARTE HAI….. AUR KHANA KHANE MEN BHI DARR LAGTA HAI…..
We, at RailYatri, are an independent identity and are not associated with IRCTC. Our ‘Book a Meal’ service is completely different and assure quality, quantity and hygiene when it comes to serving travellers onboard. So, on your next train journey, do try our food service. Your feedbacks will be most awaited. Is a MENU / RATE CARD / PRICE LIST AVAILABLE TO FACILITATE TRAIN TRAVELLERS ? ?